Navigating the complex home care system can be tricky and, at times, confusing. Deciding between a government-subsidised program or self-funded services, identifying a trusted provider and understanding contracts and fees can leave you and your family feeling overwhelmed. Even if you have been approved for a government-subsidised Home Care Package, waiting times have increased significantly, leaving many people wondering how they access the support they need. IRT Group is trialling a new approach to home care, a convenient on-demand service aimed at making it quick and simple for you to access help around the home and personal care. There’s no lock-in contract, visits can be arranged with just 48 hours’ notice and services can be booked and paid for through IRT’s online booking system. Each service can be booked as a one-off, or set up as a recurring service which can be cancelled at any time. 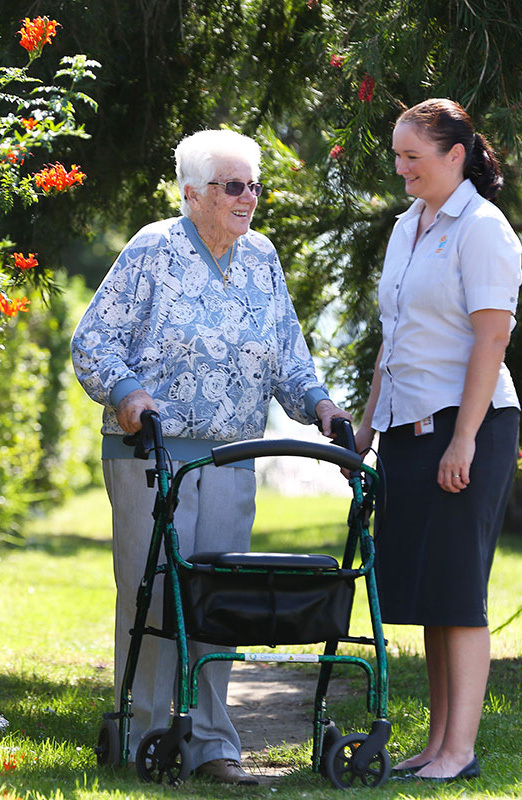 Most importantly, the care and support is provided by IRT’s experienced and reliable team of home care employees. IRT has been a trusted provider of home care services to people over 55 for more than 25 years. During the trial, online booking and scheduling is only available to people living in the Illawarra – from Helensburgh to Kiama. So, who could benefit from this new way of booking home care? In recent months the waiting list for a government-subsidised Home Care Package has grown significantly. That means older people needing home care are having to wait much longer. The Australian Government’s My Aged Care website warns that even once a person has been assessed and approved for a Package, they can expect to wait months, maybe even more than a year, before they receive it. The expected wait times can be viewed here. 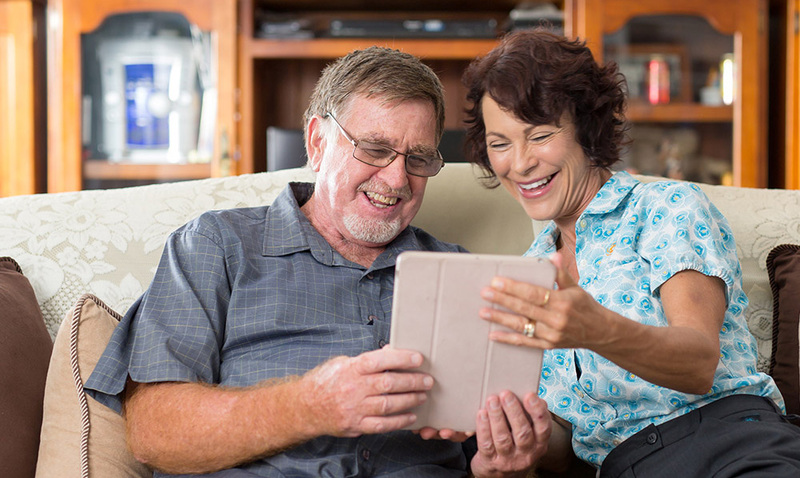 IRT’s new on-demand service is ideal for those on the Home Care Package waiting list, because it allows them to get the care and support they need immediately, without being locked into an ongoing commitment. Whether its gardening, household cleaning or help with personal care such as grooming, bathing or showering, the IRT team will be there to help. Then, once the Package becomes available, the on-demand services can be easily stopped. Of course, the customer will have the option of selecting IRT as their Home Care Package provider, making for a smooth transition to the government-subsidised services. Family members play a critical role in caring for their ageing parents, and often they’re doing it while still raising their children. Although there’s no official data from the Australian Bureau of Statistics, experts conservatively estimate at least 1.5 million people are caring for children and ageing parents at the same time. It can be a worrying time, as they try to juggle their various responsibilities. IRT’s on-demand service provides a convenient and stress-free option for these family members to access appropriate care and support for their ageing parents. Should there be a crisis or family illness, IRT can quickly provide assistance for a day or two, or as long as needed. If they’re heading on holidays, family members can rely on IRT to fill the gap, confident their parent(s) will be well looked after. Or, if they simply need some respite from their responsibilities for a short period, IRT’s professional home care team can give them a helping hand. Recent Roy Morgan research shows the average age of retirement has climbed from 58.2 years to 61.9 years in three years. Despite this, the number who retire each year also continues to climb and currently 415,000 people leave the workforce annually. IRT’s on-demand service is perfect for new retirees keen to make the most of their newfound freedom by getting a bit of help around the home. Because there’s no contract, and services can be booked at short notice, it’s a great way to try the various services on offer without being locked in. 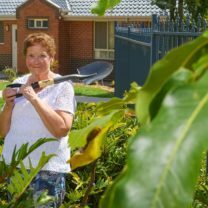 While the new retiree kicks back a little, IRT’s home care team can help with the gardening and household chores. And as the person’s needs change, they can easily ramp up, or cut back on, their services, knowing IRT has the experience to deliver the care and support that best meets their needs. Services can be booked on IRT’s website, under Book a visit in the Home Care tab. Because the trial is initially only operating in the Illawarra area, complete a postcode check before getting started. To further personalise each service, you can tick individual tasks that you would like to highlight or suggest any related tasks of your own. Our customer service team will be in touch after you complete your booking to confirm the exact details of each service. Input a date and time for each service – if a service falls outside of available hours, it will default to the nearest suitable time. You can create each service as a standalone booking, or as a repeat service; either on a set schedule or as an ongoing visit until you specify otherwise. Once you have scheduled your visit, add the service to cart. You should see your cart become visible at the bottom of the page. You can now checkout and complete your booking via Paypal or Credit Card, or continue to add more services to build a more comprehensive service bundle. If you’re a new customer, you will need to create an IRT account prior to paying. This allows us to capture all the information we need to provide you or your loved the best home care possible. If you’re a returning customer, login to your account prior to paying so that your order will be linked to the same account. Booking home care online from doesn’t mean you will lose personal and professional customer service from our experienced staff. If required, online home care bookings may be followed up with a personal phone call from our customer service team to confirm details of your service. You can also call them on 134 478 to change a booking if circumstances change (we do require 24 hours notice), or if you would like to change any aspect of the services you have booked.